For months, Tory sources have been saying Prime Minister Theresa May will be out if she makes one more mistake, normally seconds before she appoints a careerist scumbag with no military experience as defence secretary or slips on a banana skin. Before allegations of sexual and financial impropriety abounded, Theresa May’s government was still on thin ice. Having lost her majority in the general election, she was forced into a shady confidence and supply deal with the DUP, giving her a tiny majority. If May’s government were to lose a major vote, she would be finished, and there would likely have to be another general election. When people talk about "major votes" they normally mean The Queen’s Speech and the Budget (although this government could also struggle with big Brexit legislation). May managed to get the Queen’s Speech through the house, mostly by removing all her election pledges from it and just focusing on Brexit, but the Budget will be trickier, with less unity in her own party and plenty of outside pressure. Already, teachers are demanding a 5 percent pay rise; the NHS needs an extra £4 billion, according to some think-tanks; and businesses are unhappy with a planned 4 percent bump in the business rates. All these groups have lobbyists and sympathetic Tory MPs, who will be making demands on the Chancellor. And that's before the question of how much money the government should be putting aside in case Brexit is a disaster – obviously not something Brexit optimists really care for. With just two weeks until the Budget, the Chancellor is not in a strong position to start telling people no. It’s unlikely, but if the budget failed to pass, May would have to resign immediately. More likely, Tories unhappy with Hammond’s budget will vote for it, but then demand he be fired, creating more instability at the top of government. Brexit talks have been moving along at a glacial pace, and news coming out of Brussels is often so repetitive and contradictory that it’s easy to ignore. Yet the crisis in negotiations is reaching a point where it can no longer be played down. There is a complete stalemate over the ordering of the talks, the EU27 refusing to negotiate a trade deal until the "leaving settlement" has been agreed, the UK insistent that both processes must happen in tandem. This position will reach a head in December, when EU leaders meet at a summit to vote on whether to move to the next stage of negotiations – the only way this progress can take place. If they don’t, the ministers don’t meet again until March, at which point it will basically be too late and the UK will need to start preparing for "no deal" and the hardest Brexit imaginable. Such a scenario would lead to panic in the party and the country, and likely force May out. However, "an agreement" will almost certainly mean paying a lot more than had previously been discussed, and that agreement will have to be voted on back in Parliament as part of the EU Withdrawal Bill, which has already had 400 amendments tabled by MPs, including many Conservatives. Here, the government is in real danger of rebellion, as it would only take a few hard-Brexit or even hard-Remain Tory MPs to vote against a deal they don’t want, and David Davis may end up conceding something to the EU27 he can’t actually deliver. Theresa May is as much a victim of misfortune as she is terrible leadership. It’s not really her fault that two huge, all-encompassing scandals are racing their way through Parliament at the same time as details of Priti Patel’s diplomatic bender in Israel have emerged. She’s already lost Michael Fallon to sexual assault allegations, and a number of other MPs are currently being investigated about other allegations, including Damien Green, her de-facto deputy. The Paradise Papers are yet to claim the scalp of a politician, and tax scandals rarely do, but if it emerges that Lord Ashcroft – the Tory peer and major party donor – was given any special dispensation by the government to remain a non-dom while a member of the Lords, for example, that could cause problems. Labour are already calling for an enquiry. As well as making her leadership look weak and adding to a sense of distrust in her party, May does not have all the tools at her disposal to discipline badly behaved MPs. She can only remove the whip from so many before putting her working majority in serious threat. 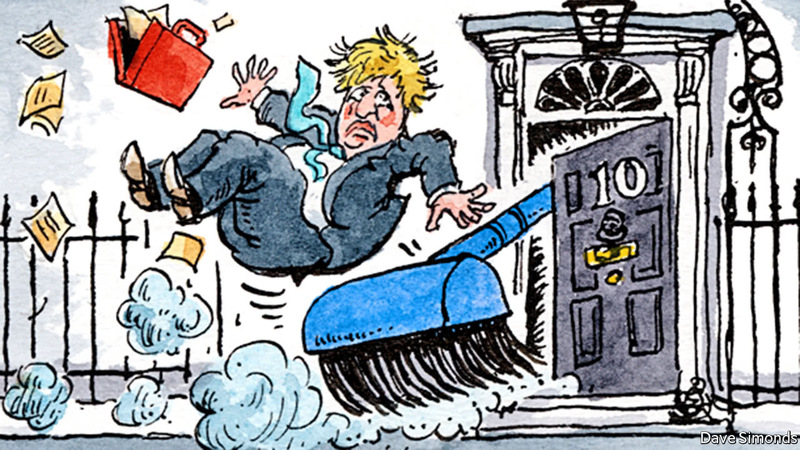 Her inability to fire Boris Johnson after a series of serious gaffes – presumably for fear of what trouble he might cause if he was left to roam the backbenches – shows that instability is currently a greater threat to the party than incompetence. One more major scandal and May might not be able to shield herself from the sleaze of her party. The Tory party has a reputation for being brutal and swift with its ability to get rid of leaders and replace them with new ones. 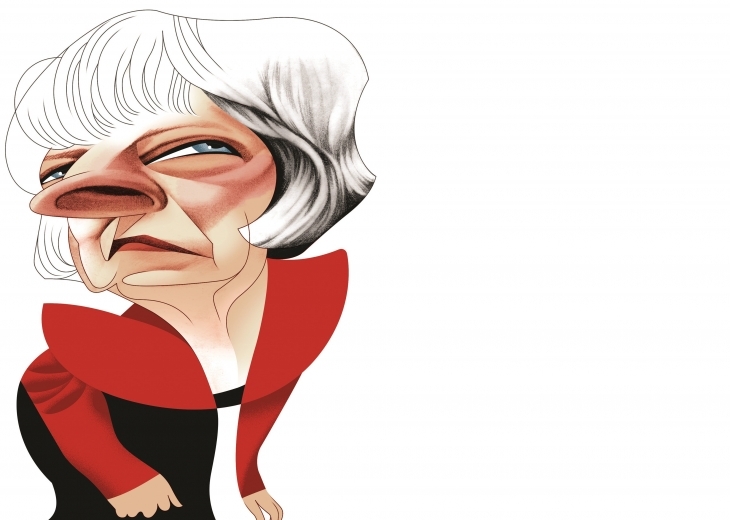 So far, May has been saved by the fact there are no other viable alternatives for leader, and no one much wants the poisoned chalice of delivering Brexit anyway. In this sense, the silver-lining of calling an early election is that George Osborne is no longer in Parliament – otherwise, it’s likely the Tory troops may be rallying behind him by this point. However, there is now dismay running throughout the party. A number of MPs have given off the record quotes saying this government is the most dysfunctional in living memory, or words to that effect. Some are starting to worry that the threat of an inevitable Corbyn government at the next election is now too great. At some point, it might be worth a roll of the dice, to see if the Tories can turn things around. Right now, there's almost definitely a WhatsApp group plotting something. Whether they can pull it off or not remains to be seen. *Sam Wolfson writes for Vice.com.